Tel Gezer is an archaeological site in the Shephelah, roughly midway between Jerusalem and Tel Aviv. It is now a national park. In the Hebrew Bible, Gezer is associated with Joshua (Josh 10:33; Josh 21) and Solomon (I Kings 9:15-16). 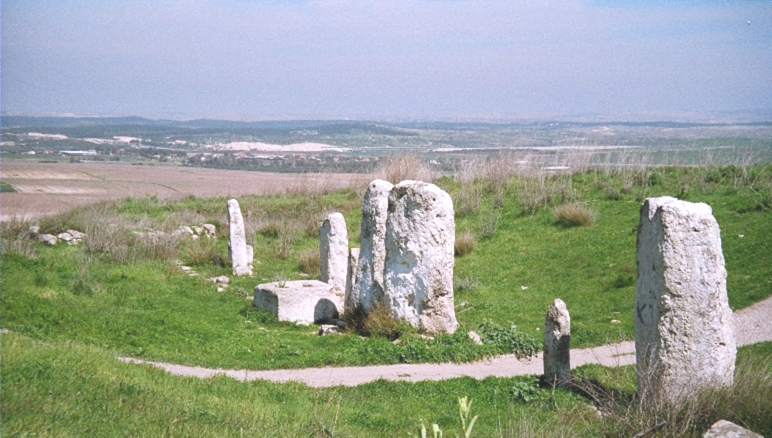 Tel Gezer was one of the first archaeological sites ever excavated in Israel. R. A. Stewart Macalister excavated the site from 1903 to 1909 on behalf of the Palestine Exploration Fund. It was excavated again by the NGSBA, under the director of G.E. Wright, William Dever and Joe Seger, from 1964 to 1974 and again in 1984 and 1990. Excavations were renewed in 2006 by a consortium of institutions under the direction of Steve Ortiz of the Southwestern Baptist Theological Seminary (SWBTS) and Sam Wolff of the Israel Antiquities Authority. Gezer is a multiperiod site with layers dating from the Chalcolithic period through the Hellenistic period. The Middle Bronze Age and Iron Age remains are considered particularly important. Famous finds from Tel Gezer include the Middle Bronze Age menhirs, the Middle Bronze Age water system and fortifications, the Gezer Calendar, the 6-chambered Iron Age gate, and the Gezer boundary stones.